Audi Q5 40 TDI Quattro Black Edn 5dr S Tronic [Tech Pack] 2019 Review | What Car? What Car? will save you at least £4,086, but our approved dealers could save you even more. 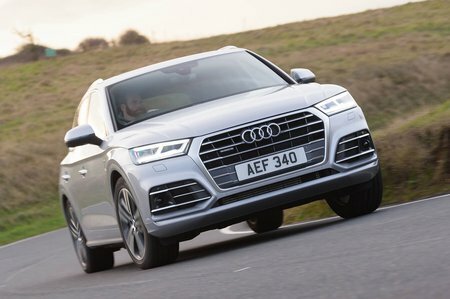 The Audi Q5 is one of the very best SUVs you can buy. It's more comfortable and refined than the BMW X3 and puts the Volvo XC60 to shame when it comes to handling and infotainment. The 2.0-litre diesel engine (badged 40 TDI) makes most sense, as does entry level Sport trim – although we would recommend adding one or two options.